Type in the Name text areas to edit your first and last name. Click Update Profile to save your changes. Enter your old password in the Old Password field. Click Update Profile to save changes. Enter your account email and click Send Password Reset. You'll get an email with a link to reset your password. Note that for security reasons, this will log you out of your session and erase your old password from our system. You'll need to reset your password with the emailed link before you can log back in. If you're having trouble resetting your password or don't receive your email link (check Spam just in case), please contact support. 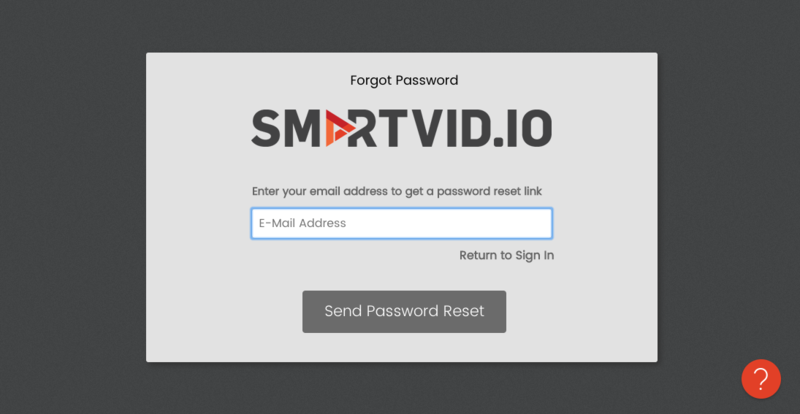 Your primary org is your "home" company org in Smartvid.io. When you create a new project, it will by default be created in your primary org unless you manually choose another one. 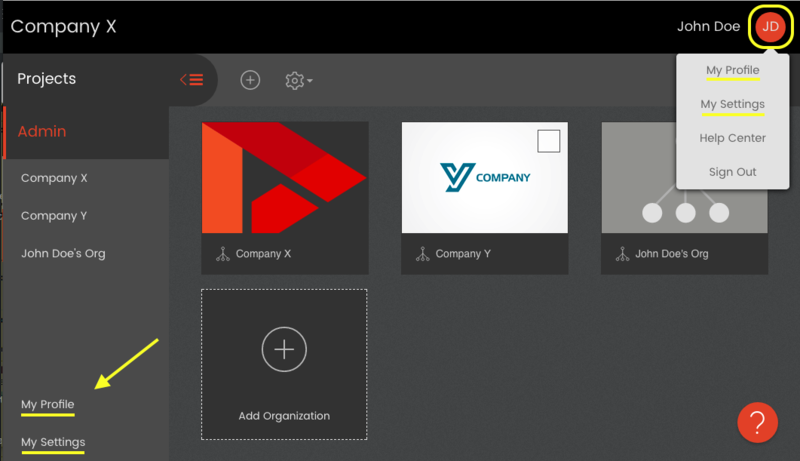 Your primary org also shows along the top of your Projects homepage. Click the Primary Organization Setting menu to expand a list of organizations you belong to. If you only belong to one organization, it will default as the only choice. Click on an organization to select it. You can opt to get email notifications whenever new files are uploaded to certain projects. This is useful if your job involves keeping track of data uploaded for compliance or progress tracking. Select the box next to a project to turn on upload alerts for it. Click Update Settings save your changes.